For thousands of years humans lived off the land, and yet most people in the 21st century wouldn’t have a clue about how to do it. While that’s not a huge issue in a world where food comes wrapped in plastic in supermarkets, there are times when we may need to rely on the land to get us through a sticky patch. 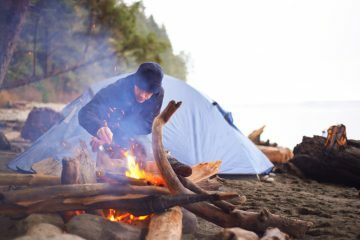 With that in mind, we asked bushcraft instructor Michael McQuilton to run us through four things you can easily find in the wild spaces of Britain that are incredibly useful. Introduction and identification: The silver birch is a widespread, native tree that can be found throughout the British Isles. It is a pioneer species that favours colder climates and colonises open areas quickly, earning its place in Celtic mythology as the symbol of new beginnings. Overall, the bark is mostly white with dark black fissures that become heavier toward the trunk base. If you look carefully at the whitest bark you will see pores called lenticels that run horizontally around the trunk. In the winter months, the branches and twigs have a deep purple colour and a weeping appearance. The leaves are small, doubly toothed and triangular in shape and the tree will bear both male and female catkins. Uses: One of its most commonly known traits is its highly flammable bark, which makes excellent tinder. It must be noted that bark should not be stripped from live trees unless absolutely necessary. 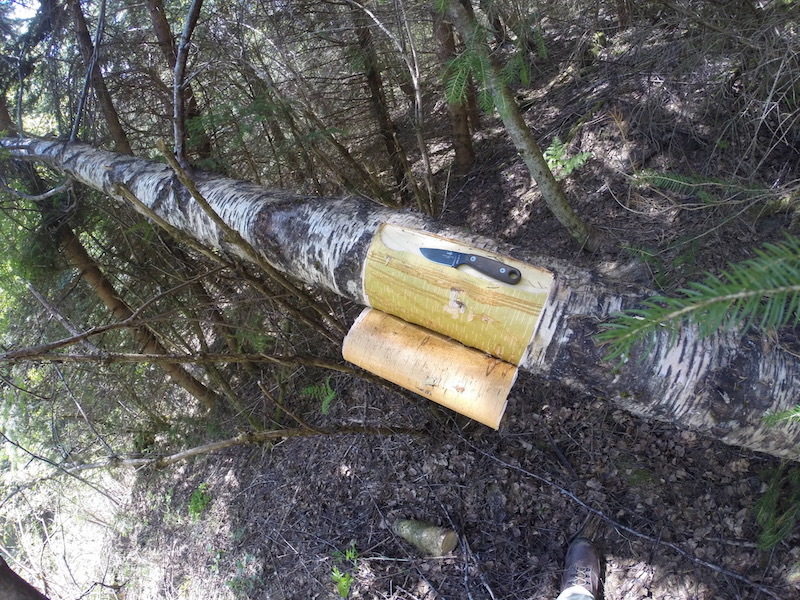 In the early spring when the sap rises the tree can be tapped and the sap collected and drank as a spring tonic. It possesses some interesting and valuable health benefits but it also makes a refreshing drink for when you have just woken up in the woods. The leaves of the tree can also be a valuable resource. Birch leaves are rich in saponins, which make an excellent substitute to soap. Crushing the leaves and agitating them with warm water will create a frothy soap like liquid that you can use to clean your hands and body. 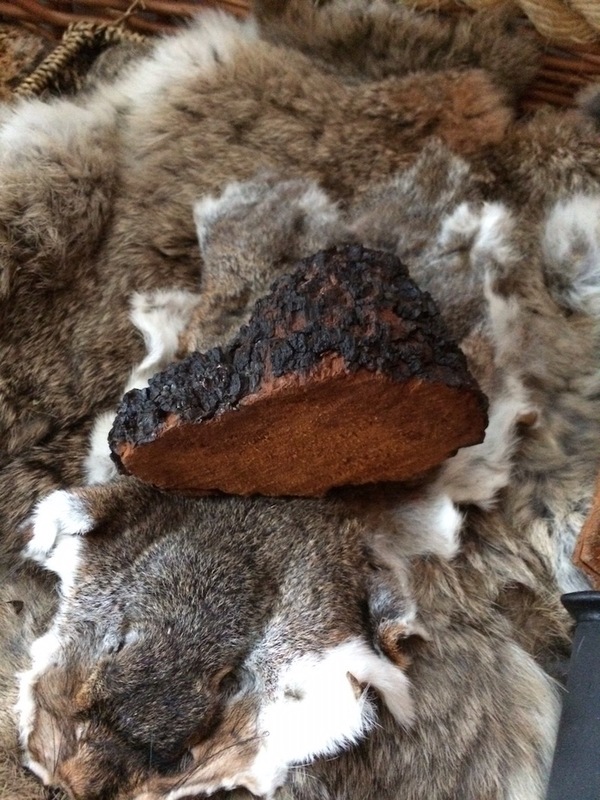 Introduction and identification: Chaga fungi is a rare and prized find amongst the people who search for it. It favours colder climates and can be found in the far north of the British Isles. It is a mass of mycelium that grows on the side of trees and its most common host is the Birch Tree. At first glance it can look like dark fissures in the bark or a large burr, but upon closer inspection you will see a golden orangey glow from beneath its black outer appearance. Uses: Its most common use amongst outdoor folk is as a tinder to make a fire. 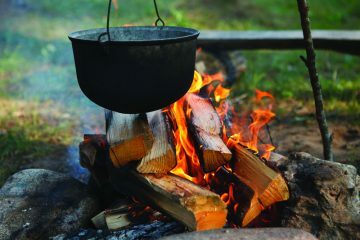 Once picked and broken up you can strike a spark into the fungi with a flint and steel or ferrocerium rod, and the fungi will gradually smoulder and hold an ember, from which a fire can be made. 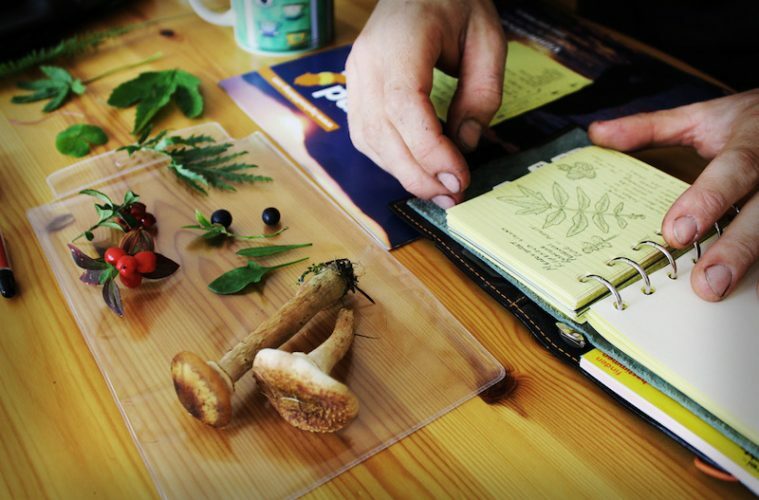 A use that is growing in popularity is to use the fungi as a medicinal tea. Studies are still ongoing but many attributes of this fungi point towards boosting the immune system, combating cancer, gastrointestinal health and the list goes on. Introduction and identification: Hairy bittercress is often uprooted and thrown into the green waste bin in most gardens. If you like brassicas ,though, you may want to try adding it to your salads. You can find it growing in those forgotten areas of your garden and also open areas in woodlands. 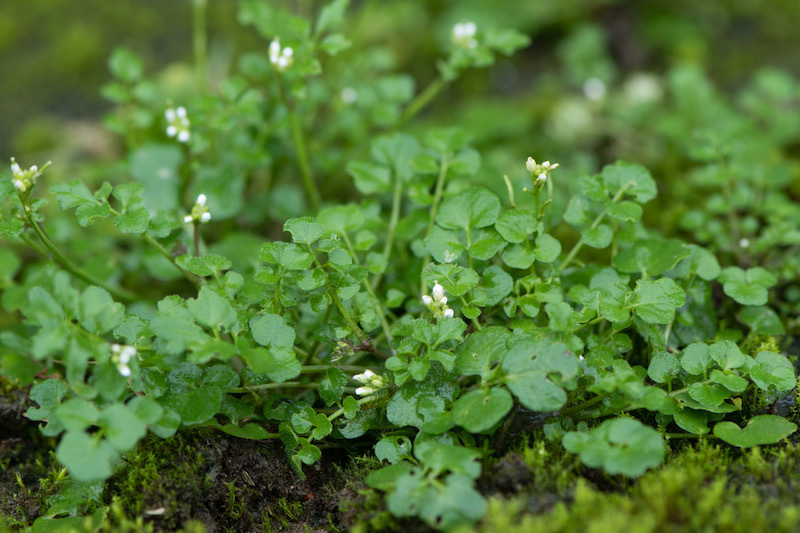 It’s a small plant that grows in a symmetrical rosette and its leaves are reminiscent of watercress, along with its taste. It grows almost all year round and has no poisonous look-a-likes, but be certain of what you forage and be selective of where you forage from. Uses: The entire plant is edible and it can be uprooted, washed and eaten whole. Many favour bittercress in salads and sandwiches and it accompanies meat well given its peppery taste, which is much like rocket. 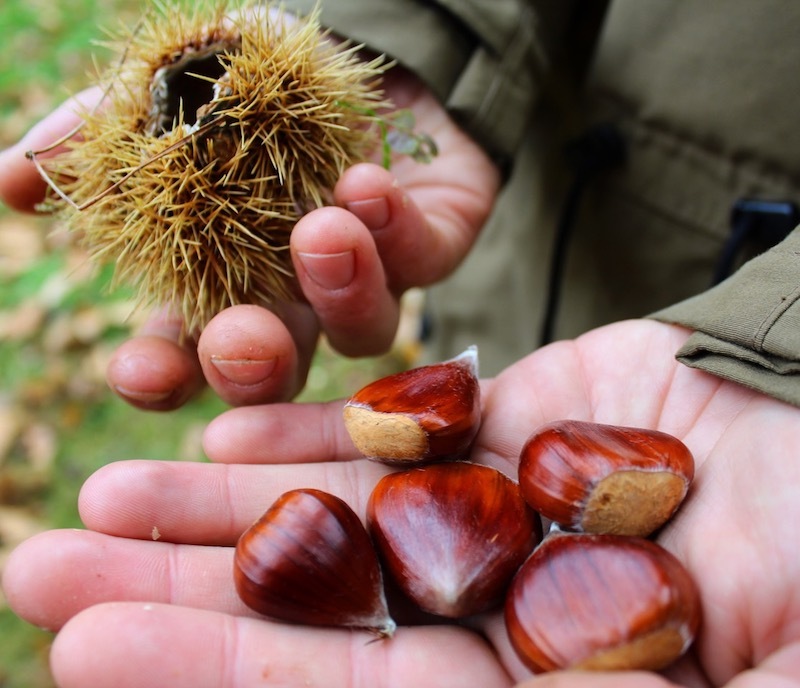 Introduction and identification: A once non-native brought here by the Romans, and now considered an honorary native, the sweet chestnut can be found across the southern Britain, where it is now planted and harvested for timber. It is a large broad leaf tree that can live up to 700 years under the right conditions. Its bark is grey with shades of purple and it has vertical fissures running up the trunk that often appear twisted at the trunk’s base. Looking at the ground below such a tree will give its identification away very quickly, as you will find the remnants of last years nut crop scattered below in the form of prickly husks. The leaves themselves are quite distinctive as they are very long and waxy in appearance, with serrated edges much like a saw blade. Uses: The tree’s primary use in its native countries was its nut crop, providing a staple food source. Over here, though, its nut crop is often poor due to our lack of hot summers. Despite this you can still pull a very good crop from these trees. Last year I left the woodlands with two buckets of reasonably sized nuts, which I stored and fed off of for well over four months. They are more like a potato than a nut in texture and taste, and can be eaten raw or cooked. Just make sure you split the shell before putting them in the oven! 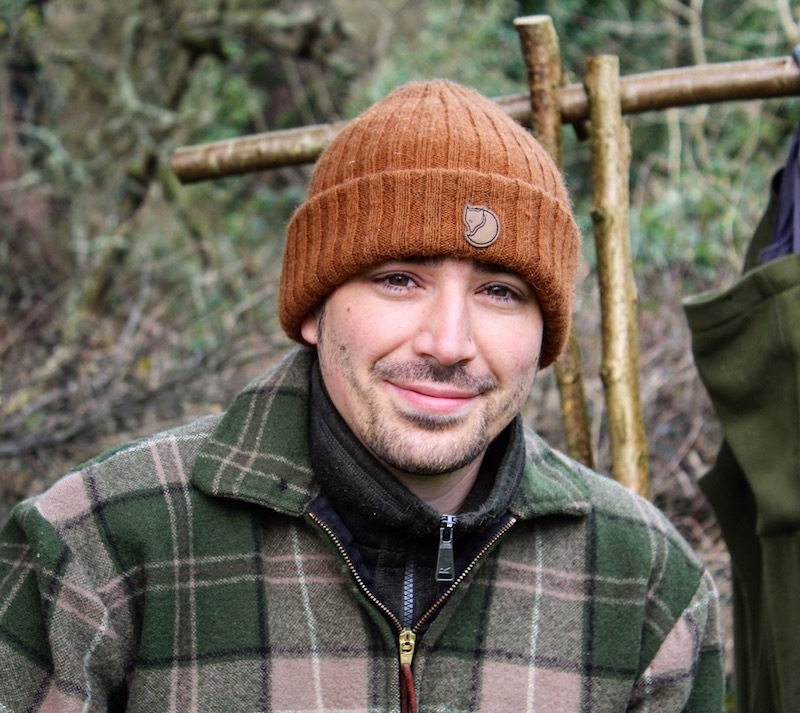 Michael McQuilton is a bushcraft instructor based in the South West. 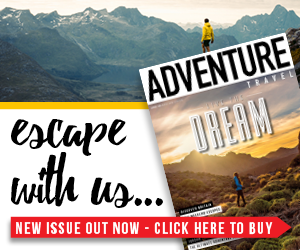 His life is dedicated to teaching outdoor living skills and he runs a range of bushcraft courses around Britain reconnecting people with forgotten skills. He also runs a popular YouTube channel called MCQBushcraft, which reaches thousands of people all over the world. You can also follow his adventures on his Instagram Page. To find out more about Michael or to check out his incredible range of bushcraft courses available, head over to the MCQBushcraft website.